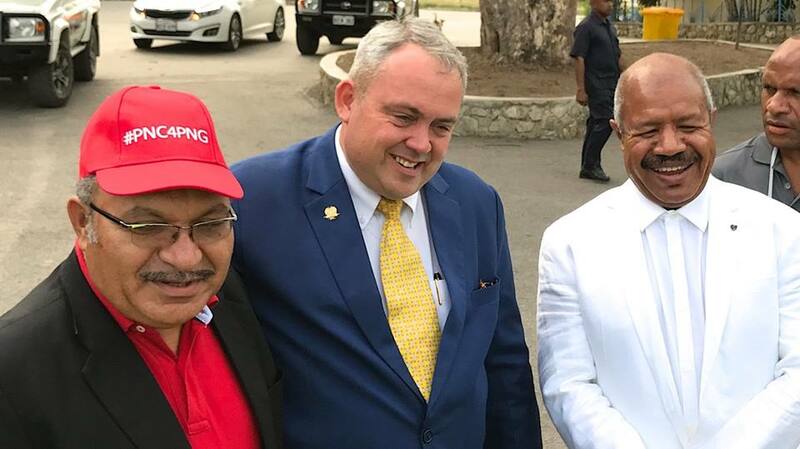 The Prime Minister, Peter O’Neill has congratulated the Member for Moresby South and Minister for Minister for Sports, National Events and APEC, Hon. Justin Tkatchenko, BEM, OL, MP, on his re-election. Minister Tkatchenko is the second People’s National Congress Party member to be re-elected, and the first Member of the new Parliament to be declared with an absolute majority of votes. PM O’Neill said the hard work that was put in by Minister Tkatchenko has been rewarded through the overwhelming support of his people. 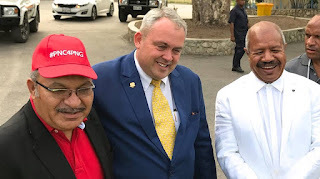 “Justin Tkatchenko is a dedicated member who has delivered services and infrastructure for the people of Moresby South,” the Prime Minister said. “Working closely with Governor Parkop and the National Government, and through the effective use of DSIPs and PSIPs, there has been dramatic change in Moresby South. “Classrooms and healthcare centres have been built, new markets have been created, and opportunities have grown for communities to advance. "The candidates of the People’s National Congress Party went to this election with a core set of policies that are already working. PM O’Neill said over the coming weeks, duly elected Members will meet to formalise policy direction ahead of the recall of Parliament. “The new Government will hit the ground running, we will continue with our core polices and introduce new reforms. “There is no doubt that we have challenges ahead as the global economy recovers from a massive downturn in commodity prices, and the prospect of the return of the el Niño weather pattern and drought. “Our Nation needs strong, capable and experienced leaders as we confront these challenges, and that is what we are delivering for our people. “As Members are declared we will build the Government that will guide the nation over the next five years. “The challenges before us are significant, and so are the opportunities for our Nation.